With the holidays right around the corner I thought it was a perfect time to share a Breakfast Casserole recipe! 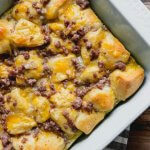 This Breakfast Casserole with Biscuits is easy to make, and everyone will be a fan… even the kids! 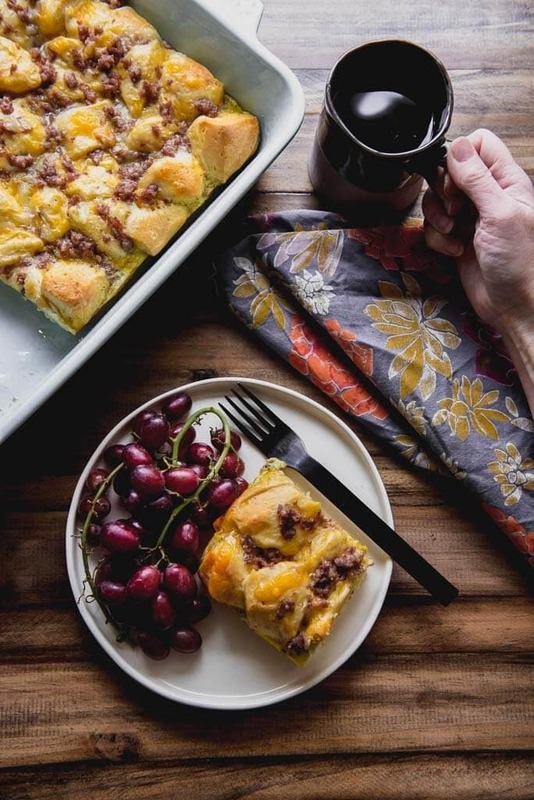 They say the best part of waking up is Folgers in your cup… but I think it’s actually when a breakfast casserole is being served! If I had to pick a favorite food for breakfast, breakfast casserole would be the winner for sure. Why am I a huge fan of breakfast casseroles? 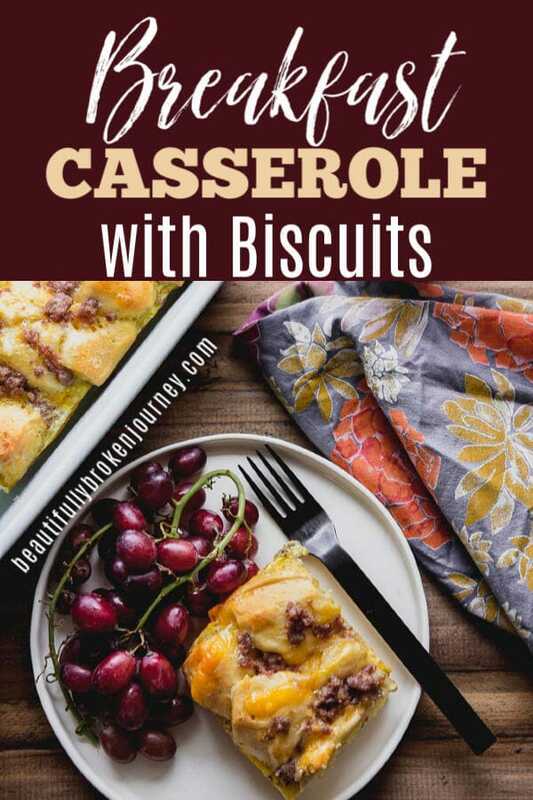 With a few simple ingredients this Breakfast Casserole with Biscuits can be on your table ready to serve and leave your family happy! I am in a bible study at church and we volunteer to bring breakfast each week. I’m not exaggerating when I tell you I look forward to the breakfast casseroles that are prepared for us! I love trying everyone’s favorite breakfast casserole recipes each week! Meal planning for the week, easy to make ahead put in containers to heat up quickly in the morning. Breakfast for dinner… My family loves when we do this! 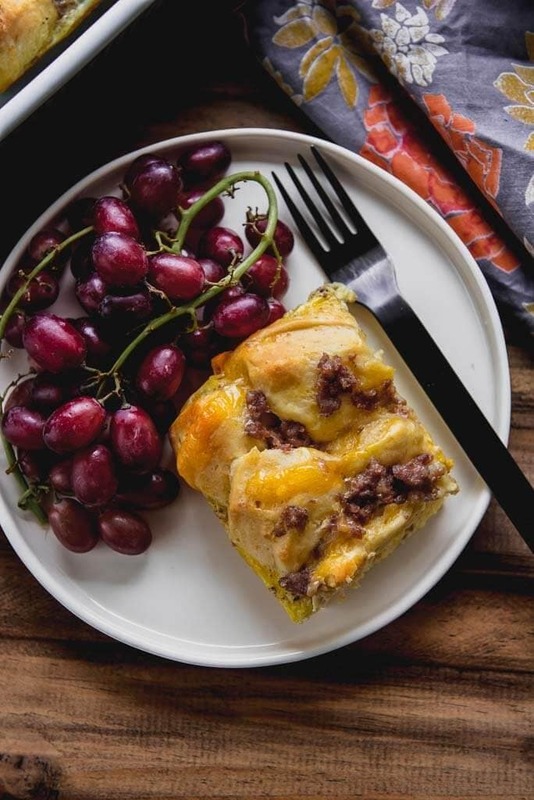 This recipe doesn’t have any vegetables in it, so if you are looking for a Breakfast Casserole with Vegetables you can try my Healthy Breakfast Casserole with Vegetables. It’s been a popular recipe that many people enjoy! I hope as the holiday season approaches you can focus on foods you enjoy and love to serve your loved ones. 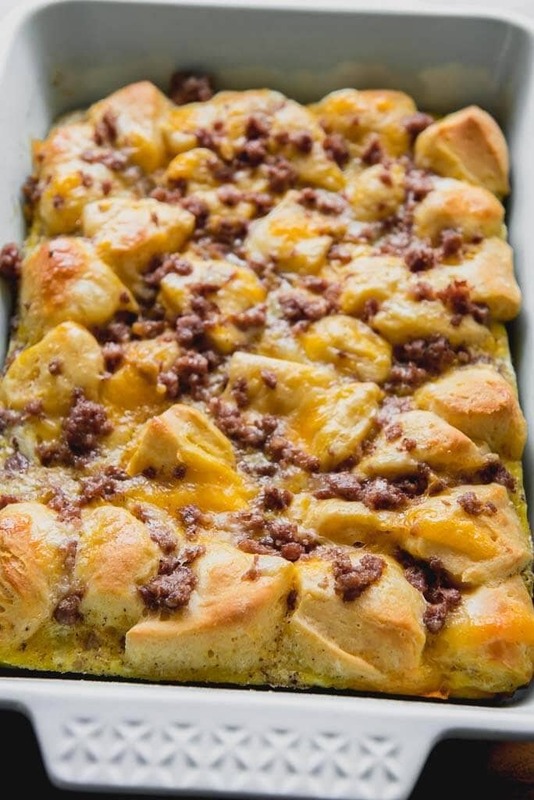 Maybe this year this Breakfast Casserole with Biscuits will become a new favorite! 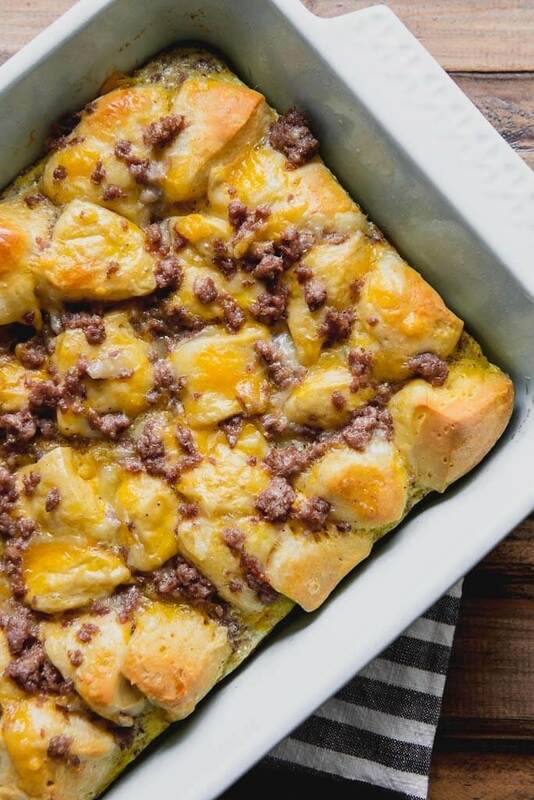 Breakfast Casserole with Biscuits is easy to make and with only 6 ingredients it can be prepared quickly! Preheat oven to 350 degrees and spray a 9x13 pan with non-stick cooking spray. Cook sausage in a skillet until no longer pink. *To soak up the grease I line a bowl with a paper towel and put cooked sausage in the bowl while I prepare the other ingredients. Cut biscuits into fourths and line the bottom of the pan with diced biscuits. Combine eggs, milk and pepper with a whisk until mixed well. Add sausage and cheese to bowl with eggs. Cook at 350 for 25-30 minutes. Make sure you cook until biscuits in the center of the casserole are cooked all the way through. Did you take these pictures yourself? They are gorgeous and this looks so yummy I might need to try! No, I didn’t take these photos. My friend Jennifer Draper from http://www.slowcookergourmet.net takes the photos for my blog recipes. She’s amazing!